Infiniti Connection is the latest addition to the Infiniti Total Ownership Experience that allows you unprecedented connectivity in-vehicle. 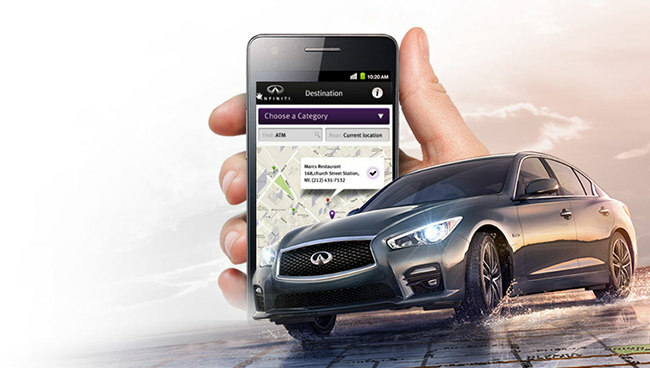 With complimentary 1-year subscription to Infiniti Connection Plus and innovative features like Automatic Collision Notification, Drive Zone monitoring and Destination Assistance via your Infiniti Personal Assistant, you will be connected to what you need, when you need it. There are two levels of service from Infiniti connection. If you would like to know more about Infiniti connection, you can contact Guelph Infiniti By filling out the form on the left side of this page.